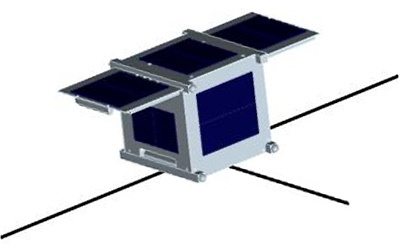 OPUSAT (Osaka Prefecture University Satellite) or CosMoz is a nanosatellite that is being developed by Osaka Prefecture University. It follows the 1U CubeSat form factor. The primary objective of this satellite is to demonstrate advanced hybrid power supply system using Lithium-ion Capacitor (Li-C) and Lithium-ion battery. Li-C enables long term operation in high powerr discharge and in deep charge-discharge cycle. It works well in space environment, even without a heater. OPUSAT also has deployable solar array paddles, and is equipped with a spin stabilization system using magnetic torquers. OPUSAT was launched on Japan's H-2A-202 booster in 2014, and rode along with the Global Precipitation Measurement (GPM) main satellite.